" Sue McCormick continues to corner the market for parts that require a cuddly, funny actor who enjoys an instant connection with her audience." Royal Exchange, Manchester - Sister Temple in "Orpheus Descending", Mandy in "Everybody Loves a Winner", Audrey in "As You Like It", Maid/Nurse in "Venice Preserved", Sarah in "Bring Me Sunshine", Paula in "Still Time". Northern Broadsides - Mrs Candour in "School for Scandal", Nurse in "Romeo and Juliet". Hull Truck - Jan in "Ladies Day", Jan in "Ladies Down Under", Hilary in "The Woman Who Cooked Her Husband". Dukes, Lancaster - Beth in "No Fat Juliets", Tucky in "Robin Hood", Sadie in "The Rise and Fall of Little Voice", Granny in "The Snow Queen", Doris in "The Ugly Duckling", Mother Superior/ Chaperone in "Cyrano de Bergerac, Lady Frances Cromarty in "Around the World in 80 Days". Chipping Norton - Doris in " My Mother Said I never Should." Library Theatre, Manchester - Mrs Fred/Mrs Fezziwig in "A Christmas Carol, Mum/Queen of the Djin in "Aladdin". New Vic, Stoke - Rosie in "Love Me Slender". 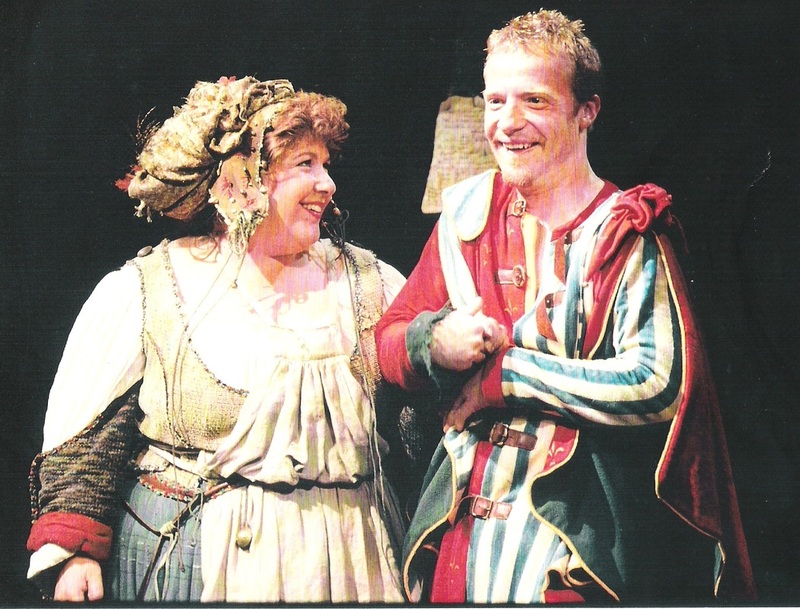 Oldham Coliseum - Mrs Robson in "A Little Local Difficulty". Plymouth Theatre Royal - Victoria Fosdyke in "The Fosdyke Saga". Gawsworth Hall - Lady Plymdale in "Lady Windermere's Fan", Miss Erikson in "Present Laughter", Mrs Price-Ridley in "Murder at the Vicarage." Theatre by the Lake, Keswick and Visiting Moon Productions - Ivana Vesovchikova in "The Mother". Wolverhampton Grand - Madame Arcati in "Blithe Spirit". Edinburgh Festival and on Tour - Edna St Vincent Millay in "Wild as the White Waves" - one woman show. Marianne Elliott, Neil Bartlett, Amy Leach, Gareth Tudor-Price, Sara Frankcom, Barrie Rutter, Kevin Shaw, Greg Hersov, Annie Castledine, Nona Shepherd, Eileen Murphy, Joe Sumsion, Louie Ingham, John Terry. The stand-out performance is Sue McCormick's wonderfully elaborate Madam Arcati. Stand-out of the evening is Sue McCormick's big-hearted performance as Juliet's verbose, doting Nurse. Sue McCormick's Rosie is heartbreaking. The performance of the night goes to Sue McCormick as Hilary whose mordant wit drew shrieks of recognition from the crowd. The two-faced Mrs Candour - wonderfully performed by Sue McCormick.